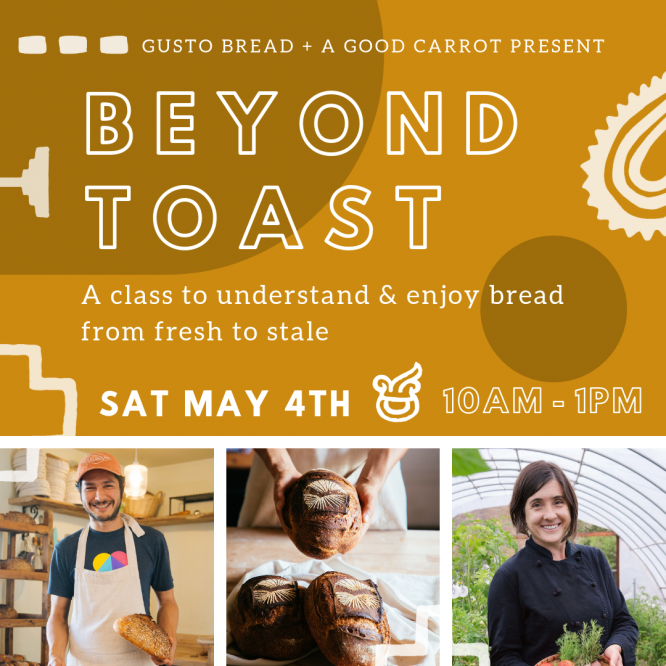 Join baker Arturo of Gusto Bread and chef Aliye from A Good Carrot as they share their tips and favorite recipes for enjoying your artisan bread from the whole crackly loaf to the very last crumb! Space is limited, payment required with RSVP by May 1st. Location details will be sent to students 1 week before event. **Cancellation Policy: Email (or call or text) notification required a minimum of 72 hours before the class for full refund. Cancellation requests with less than 72 hours notice will not be honored unless we can fill your space. Absence to class without 72 hour notice is non-refundable. Are you curious about baking bread at home? Or already baking and want to strengthen your understanding of naturally leavened bread? 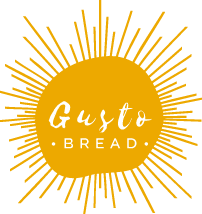 Experience a day of baking at Gusto Bread (cottage bakery) with baker Arturo Enciso. In this workshop, we will make a pain au levain (French natural sourdough recipe) using freshly milled flour. Walk away with a freshly baked loaf of bread + dough prepared in class to bake at home, a recipe booklet, sourdough starter, a bread basket, AND the hands-on knowledge of how to bake what’s taught at home! Great for beginners and experienced bread-makers alike. Class is from 9am-12:30pm. Please bring an apron, and a pen or pencil for writing notes in your recipe booklet. 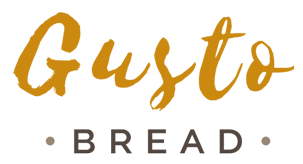 **Cancellation Policy: Email (or call or text) notification required a minimum of 72 hours before the workshop for full refund. Cancellation requests with less than 72 hours notice will not be honored unless we can fill your space. Absence to a workshop without 72 hour notice is non-refundable.